Mino Will Be on MBC's "Dangerous Outside the Blankets" - Our TV will be full of YG family artists on reality shows. After iKon June join with this reality shows, today is time of Mino from WINNER to join Dangeraous Outside Blanket. The shows is about homebody who will stay several times with another homebody. They have to spending time to socialize with other homebody. The shows is already in the third episode on the second season. And Mino`s episode will be airing on May 3rd, 11:10P KST. MBC already showed the teaser of Mino joining Dangerous Outside the Blanket today, 22nd April 2018. 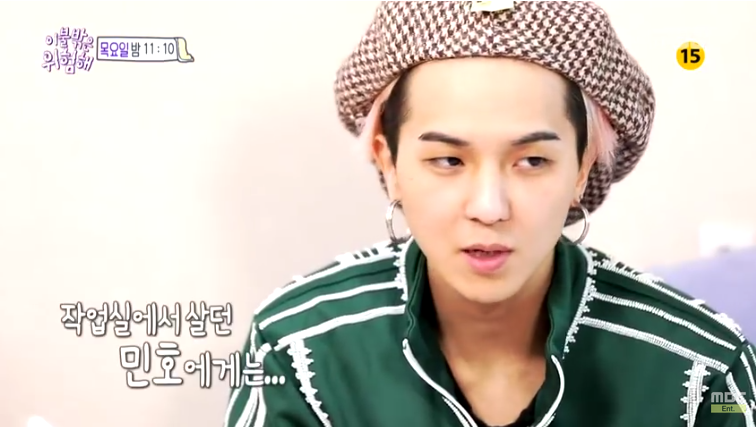 Of course we can`t wait to see the full episode of Mino on Dangerous Outside the Blanket. Watch the teaser here guys! Mino Will Be on MBC's "Dangerous Outside the Blankets"